Having an income protection policy which meets your needs is incredibly important. One of the options that insurers offer is the ‘Increasing Claims Option’ – an additional option which allows your monthly benefit to increase while you’re on claim. 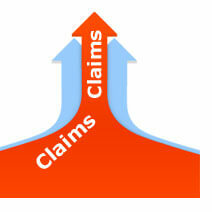 How does the increasing claims option work? How long is the increasing claims option able to be used? When should I consider the increasing claims option? How much does the increasing claims option cost? When you take out an income protection policy, it covers you for up to 75% of your income – meaning if you go on claim, you will be paid up to 75% of your income as a monthly benefit. But what happens if you go on claim for 5 or 10 years? Your monthly benefit may not be able to keep up with the cost of living – which is increasing every year. A Reserve Bank of Australia Report showed that inflation had increased by about 30% since 1990, at a rate of 2 – 3 percent per year. The increasing claims option helps protect your policy against increases in the cost of living by increasing your monthly benefit when you go on claim. The increase is generally by either a fixed percentage or the increase in the yearly CPI, allowing your monthly benefit to keep up to date with the rising cost of living. For example, if your monthly benefit is $5,000 and after 12 months the CPI has increased by 3%, your monthly benefit would increase by $150 to $5,150. The following year it would increase to $5,304.50 based on the 3% increase. Your monthly benefit will increase for each year you are on claim, until you are off claim or your benefit period ends. The option is available only when you have a benefit period of longer than 1 year. If you have a long benefit period such as to age 55, 60, 65 or 70 it may be something you want to consider as you can potentially be on claim for a long time. This will make sure your policy keeps up with inflation well into the future. The cost of the increasing claims option will be dependent on the insurer, however generally it may cost you around $10.00 extra per month, on top of your normal premium. However, if you go on claim, your total premium will generally be waived for the length of time you are on claim, meaning you will not be required to pay for the option while you are receiving your monthly benefit. How is this different to benefit indexation? Benefit Indexation is a built in benefit keeps your policy in line with inflation before you go on claim. The feature increases your level of cover by the increase in the CPI each year, which also results in your premium increasing. Is Your Income Protection Adding Value? Before selecting a waiting period for your income protection policy, it’s important to know that your choice can impact the cost of your premium and when you receive your benefit after lodging a claim. Find out how long your waiting period should be and compare which companies offer the option you want.